Is My Wood Fence Safe in Rain? 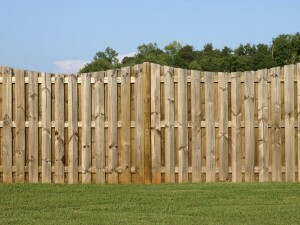 It’s all blue skies here, but make sure your wood fence is safe when spring showers roll in. Spring has sprung, and that means plenty of rain along the Virginia coast and throughout the region. If you’re the proud owner of a Hercules fence, you may be wondering whether your fence will suffer any adverse affects from all the upcoming rain. Fret not, dear customer, because we have answers for you. Read on to learn more. One concern that applies to any type of fence, not just wooden ones, is whether your fence will remain upright through prolonged, heavy rain. As the ground absorbs all that rainwater, it can loosen and become less structurally sound for keeping your fence upright. If your fence is installed directly in the ground and you get a lot of rain, it might be a good idea to make sure that it isn’t starting to slide away. However, if your fence has a concrete base, you should be in good shape, unless there are Noah’s-Ark quantities of rain. In that case, the matter of keeping your fence safe in rain is likely the least of your concerns. It’s never a bad idea to go give it a hearty shove after the storm has passed to see if it wiggles at all. If it does, give us a call with questions or concerns. One of the best ways to protect wood from the elements is with a sealant or protective stain. 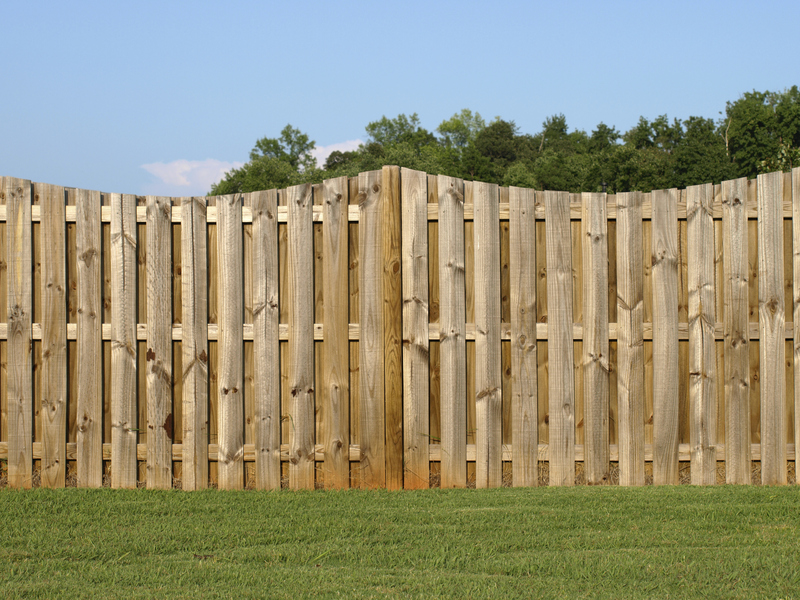 Treating your wood with a protective coat will undoubtedly keep your fence safe in rain and in any other elements it may need to stand up to. Total Wood Preservative stain and Rain Guard sealant are just two examples of many commercial products that you can find to keep your fence safe in rain. If have any questions or would like some more professional advice for your particular situation, don’t hesitate to give us a call! This entry was posted on Thursday, April 7th, 2016 at 11:20 pm. Both comments and pings are currently closed.